A Carnival Cruise Line passenger claims he and his traveling companions are unaware of why they have been banned from ever sailing with the cruise line after they became stuck in an elevator, but Carnival claims there are "two sides” to the story. Cruise passenger Jacob Burrola claimed on Facebook that he saw crew members “mock” him and his fellow passengers after an “elevator line [snapped],” leaving them trapped inside. He also shared a photo of what appeared to be one employee taking a photo or video through the barely opened elevator doors while he and the people in his group were stuck. “Crew tells passengers another 45 minutes won’t kill anyone after being stuck for over an hour with sick passengers on board,” he wrote, even claiming that one of the passengers fainted in the elevator while they were waiting to be rescued. Burrola also shared video that appeared to show one of the crew members asking for him to keep his hands away from the door, and saying that it may take another 45 minutes to free everyone, but that nobody was “gonna die” during that time. In a later comment, Burrola said he and his traveling companions were in “dismay” after being informed they were banned from future Carnival cruises sometime after the last day of their journey. Carnival, meanwhile, shared a different version of events in a statement obtained by Fox News. “There are always two sides to every story. We had a group of guests stuck in one of our elevators last week for approximately 30-40 minutes. Our onboard team was summoned to provide assistance. Unfortunately, because of the extensive damage to the elevator doors and cabling caused by the guests, the work took longer than expected." 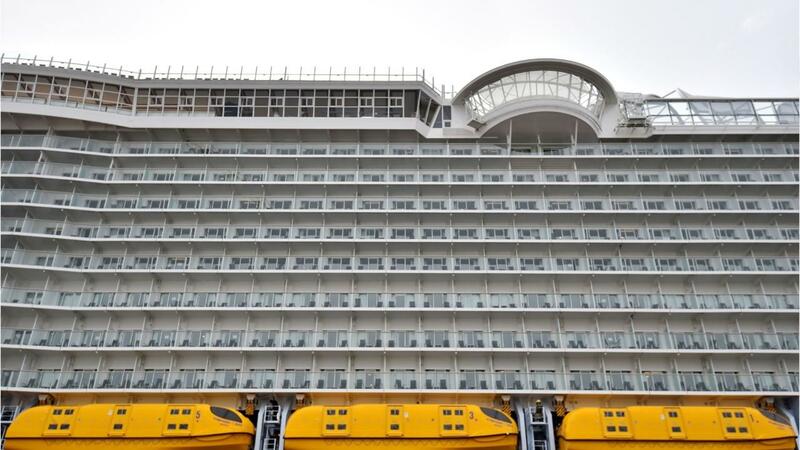 The cruise line confirmed in a second statement that the guests were no longer welcome with the cruise line. Burrola, meanwhile, claims Carnival just trying to play a "blame game." "Carnival is trying to turn this into a blame game rather than looking at the actions of their crew members and staff," Burrola told Fox News. "They should be reprimanding their employees for their unprofessional behavior and redefining their rescue procedures.